Foy Max Loftin was the ninth child born to Arthur Lee Loftin and Alice Josephine Gilleland. 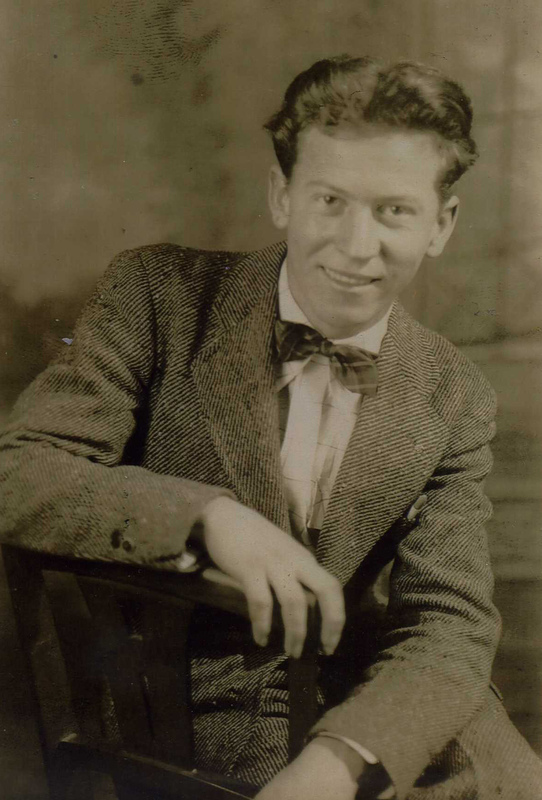 Foy was born 24 Jul 1921 in Catawba County, NC. The 1930 Census shows Lee Loftin living in the Catawba Township of Catawba County near his brother Alonzo. Lee is show on the Census is being widowed and 44 years old. He has six children at home: Glenn age 17, Ray age 15, Bernice age 13, Coyte age 11, Foy age 8 and Helen age 3. 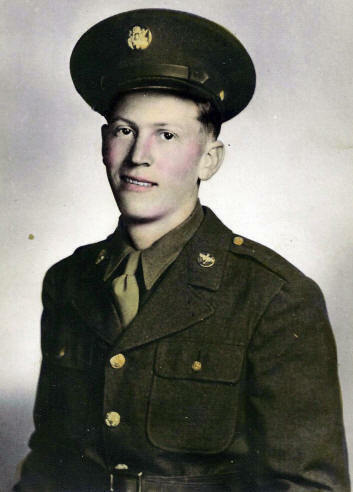 During World War II, Foy hoped not to get drafted. He had planned to join the Merchant Marines but was drafted into the Air Force. Foy's sister Helen Loftin White said of her brother, "He was in the military less than a year - and ready to go oversees - when he died in the auto accident while on a date." 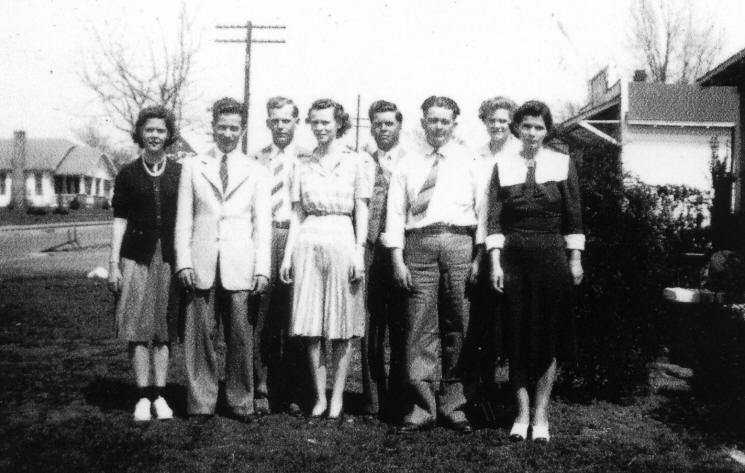 Foy Max Loftin died 01 Dec 1943 at 11:30 PM when the "auto ran into a telephone pole". The death certificate lists the cause of death as an "intra-cranial hemorrhage; shock; fractured skull; fracture of clavicle". He was 21 years old at the time of his death. 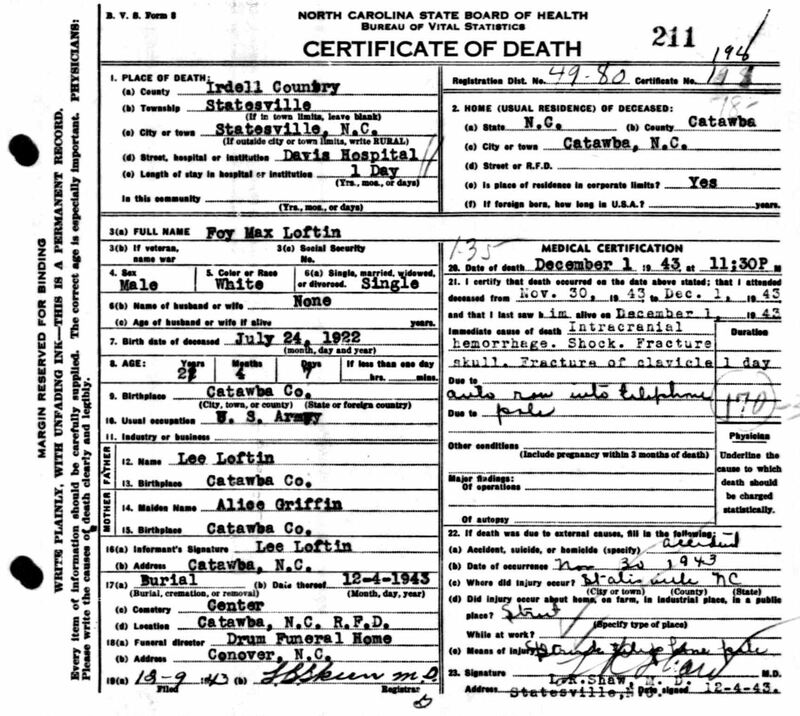 The death certificate incorrectly lists his mother as Alice Griffin - instead of Alice Josephine Gilleland. 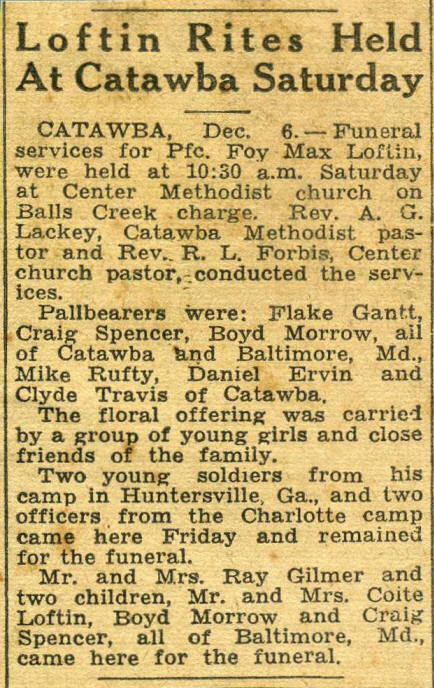 Foy Max Loftin is buried at Center Methodist Church in Catawba County, NC. If you have additional photos or information about Foy Max Loftin, please contact me.